Certified Organic Premium Baobab fruit powder. Baobab fruit powder, a highly nutritious superfood, is added to smoothies & juices, sprinkled on yoghurt & cereals, and used in baking & desserts like sorbets & ice-creams. 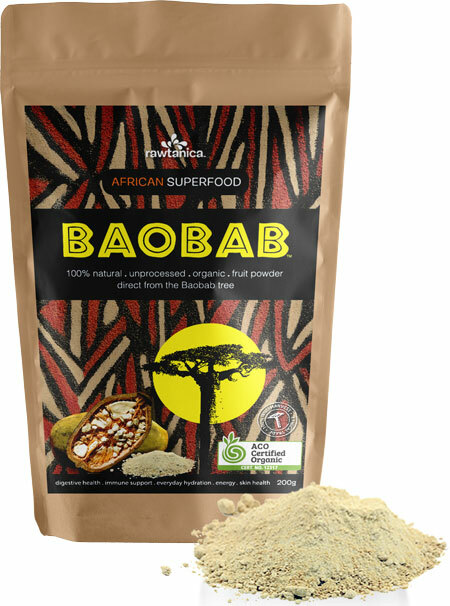 100% natural, unprocessed & organic fruit powder direct from the Baobab tree. Simply sieved from fruit to you, as if you picked it yourself.